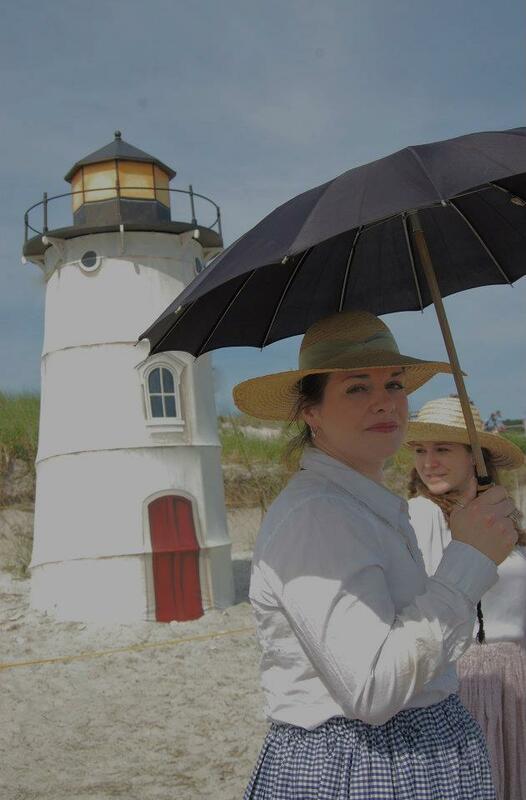 The lighthouse stood at Crane Beach for 100 years. The last keeper was LeRoy Lane, who lived at the station with his wife, Angie (Harris) Lane and their three children. The front range light was discontinued for good in 1932. By 1938, the sand was so high around the tower that maintenance personnel had to enter through a window high up on the tower. 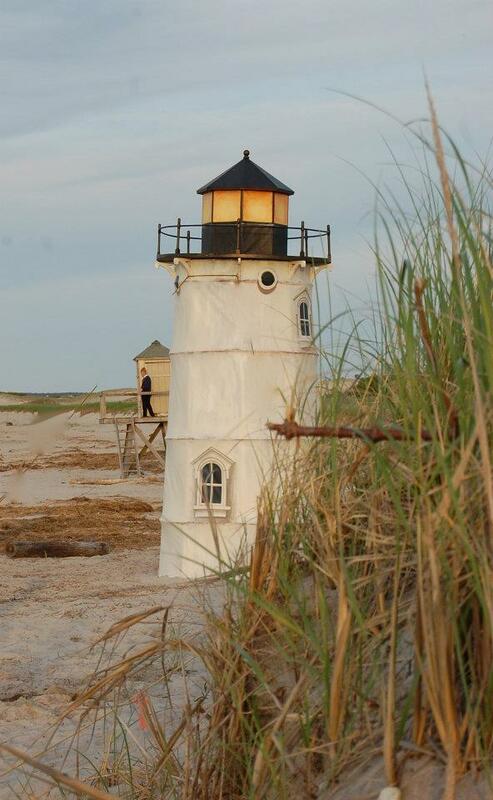 In 1939, the cast-iron lighthouse was floated by barge to Edgartown in Martha’s Vineyard to replace an earlier structure that had been badly damaged in the hurricane of 1938. Ipswich Lighthouse: Voices from the Beach is a 1/2 scale wood and painted canvas replica that serves as the backdrop for a presentation about the lighthouse.